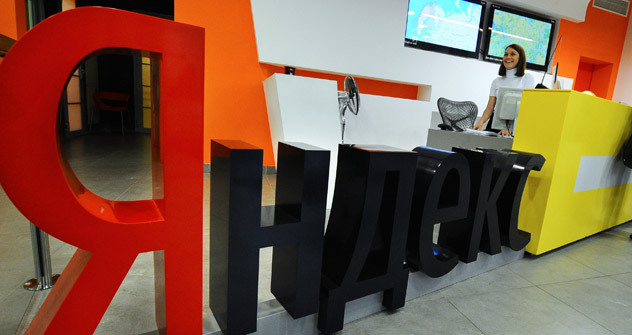 "Russia's Google" lists on the Nasdaq exchange after delaying its launch due to high demand. Yandex has raised $1.3 billion in its IPO on the Nasdaq according to unconfirmed reports this morning, after selling its shares for $25 each, the peak of its revised pricing range. The company delayed the planned closing of its offer by a day in order to raise the indicative range and reopen the bid book on Monday, taking advantage of an accelerating wave of interest in tech stocks. The leading Russian search engine had already closed the book three days earlier than planned on May 20, with bookrunners claiming that it was over-subscribed by up to 10 times at a pricing range of $20-22. However, the company began taking bids again on May 23 after raising the price to $24-25, according to unconfirmed reports quoting unnamed sources. That last-minute boost suggests Yandex and its bookrunners are either extremely clever or incredibly lucky. It couldn't have timed the offer better--listings earlier in May showed that global appetite for Internet stocks, which was already healthy, skyrocketed over the past two or three weeks. In fact, demand for exposure to the sector has accelerated so dramatically since the successful IPO by Chinese social media site Renren and Microsoft's $8.5 billion purchase of Skype that some have begun reminiscing about the dot.com crash at the start of the century. On May 19, U.S. social media website LinkedIn raised $353 million in New York at $45 a share, after raising the upper limit of its initial range by $10. Some claim that the bookrunners undervalued the stock, although given that trading soon sent its price/earnings ratio rocketing to around 550, that seems a little simplistic. The stock surged 109 percent on its first day of trading. That kind of gain will have investors watering at the mouth for just about anything in any sector - let alone a clear market leader in a tried and tested segment like Yandex. "The placement offers equity investors an alternative tool for investing in the Russian online growth story in addition to Mail.ru," wrote UralSib in a report. "The company may be a more attractive bet on the growth of the Russian online advertising market than Mail.ru, which has a high share of revenues that do not come from advertising (gaming and other online paid services) and which has a substantial part of its value attributed to non-operating assets, including minority stakes in Facebook, Zynga and Groupon."